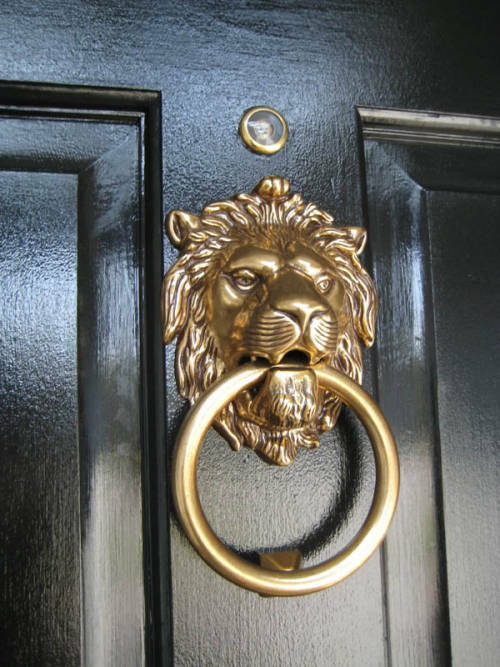 One design element that I absolutely adore is a good door knocker, especially a lion head door knocker. 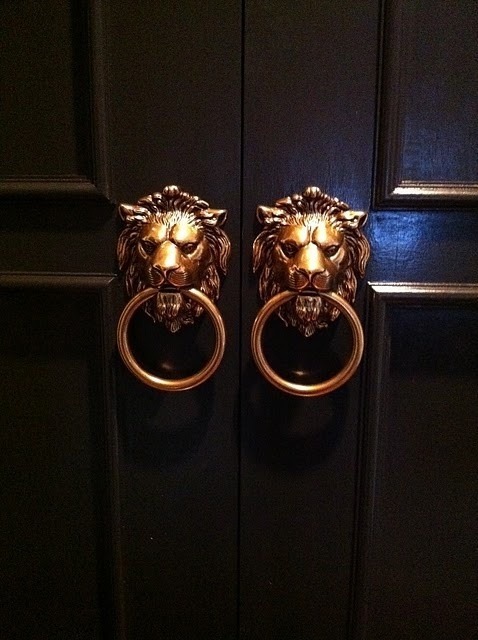 When I lived in England, I used to walk down one particular street a few times a week where there were gorgeous blue, yellow, and black front doors adorned with lion head knockers. 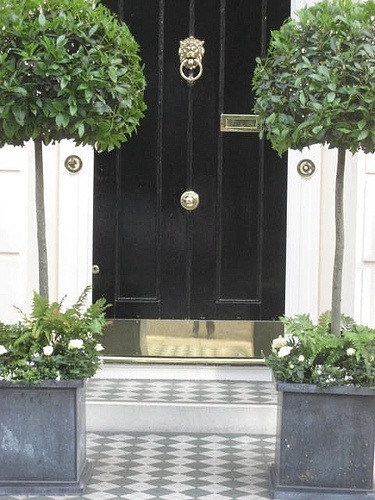 Sadly, I never worked up the courage to take pictures- I always thought it was a little weird taking pictures of other people's front doors- but I so wish that I had! 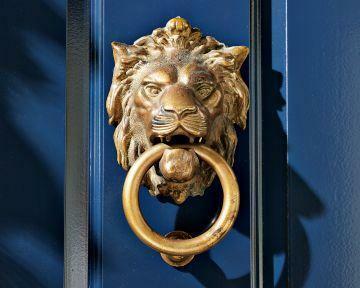 When I have my own home, a lion head knocker on a lacquered door will be an absolute necessity. 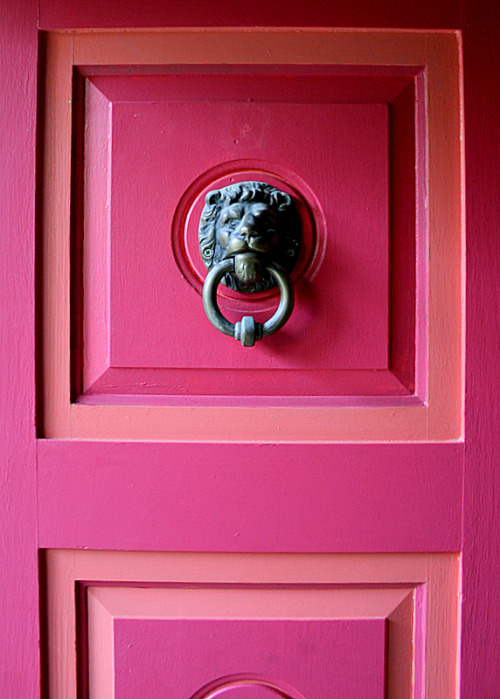 If this pink door was lacquered, it literally would not be any more perfect. 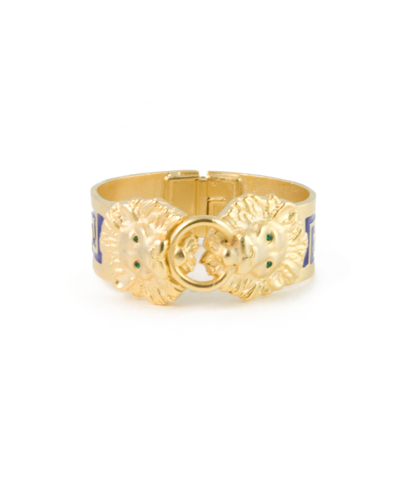 As a bonus, how great is this Loren Hope lion head door knocker bracelet from Design Darling?